As a person who loves to mix different kind of oil for my hair oil treatments and DIY beauty stuff, I am liking this fractionated coconut oil! 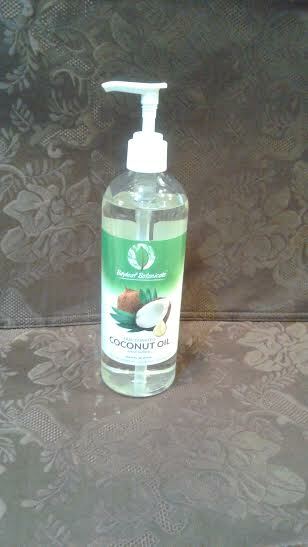 This oil is fractionated 100% pure carrier oil and it is unscented. I love that it is not greasy. I have used this on my arms and legs for extra moisture and I have had no problems with it. Also like it is not greasy so it didn’t stain my shirts or skirts at all. One thing about fractionated oil is that you can use it on your hair, skin, for message, cosmetic products as soaps, and lotions. * It comes in a 16 fl oz bottle which you get lots of use. * It also comes with a pump which it make is better for you to use. Need Your Broom & Mop Organized?